Jan 15, 2018 | Posted by: Hooteroll? The answer is simple. The cosmic expansion of Jerry Garcia's improvisational musical vocabulary began in ernest when he began exploring the world outside of Grateful Dead. That happened in the heady, spacey, even ethereal acid jazz realm of Howard Wales at his Monday night jam sessions at the storied club, "The Matrix," on Fillmore Street in San Francisco. The recording of an album they did together, called "Hooteroll?" 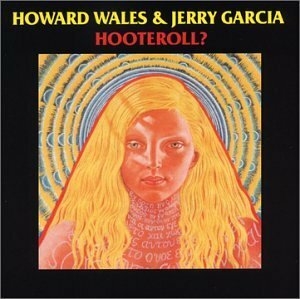 was the genesis, the very beginning of everything that we are honoring today in our tribute to the many solo ventures of Garcia, which we call "Hooteroll?" Garcia once said, "Howard did more for my ears than anybody I ever played with because he was so extended and so different." With John Kahn on bass and Bill Vitt on drums and Martin Fierro on saxophone and flute, that group formed the core of what would later also become the Saunders-Garcia band. In fact, Martin Fiero met Howard Wales years before in Texas, long before they ever hit a note with Garcia in California. It was shortly after the Hooteroll? album by Wales and Garcia, and some dates in the Northeast in support of it, that those core musicians began performing with Merl Saunders, also at The Matrix, moving away from the improvisational free-form psychedelic acid jazz and into more of the quasi-structured with extended-jamming standards world that jazz trio organist Saunders was known for in those days. Cover songs to create shows around the new core Saunders-Garcia band lineup emerged, ranging from jazz standards, to blues classics, to Motown, and even early reggae music. A few original songs emerged. Garcia began recording solo albums. There is an undeniable historical chain of events here. Jerry's "big bang moment" began in the universe of Howard Wales, and their recording, Hooteroll?, which led Jerry, Kahn, and Vitt, to Merl Saunders, which led to Saunders-Garcia band dates, Keystone releases from Fantasy Records, the formation of The Legion of Mary, Reconstruction, work with Tom Fogerty, and with Merl, Vitt, and Fiero's departures, finally, the various incarnations of Jerry Garcia Band and its new lineups. Nashville's Hooteroll? guitarist Mike Lawson was fortunate to do dozens of shows with Merl Saunders as a "Funky Friend" during Merl's last several years of performing, including performances with Bill Vitt and Martin Fiero from the original lineup. Our Hooteroll? focuses on the early solo efforts of Jerry Garcia and his collaborations with various musicians over the years. With our club venues not unlike playing for an audience at one of the Keystone clubs, we are largely paying tribute to the work with Merl Saunders, and the seminal Keystone performance era, and a bit beyond. We are inspired by the freeform acid jazz jams of Garcia and Wales, and pull our setlists from those Keystone-era releases, plus the groups Legion of Mary, Reconstruction, and Garcia's solo efforts with Jerry Garcia Band (JGB). Our tribute, 'Hooteroll?" tries to deliver a well-rounded look at and listen to the music they loved to play. It started with Howard, then Merl, and this Hooteroll? honors the magic they conjured for the world. Listen to Hooteroll? Radio to stream selections from recent performances! "From the inside, Mike Lawson (with Hooteroll?) is preserving the legacy of our father's musical heritage. The collaborations with Garcia were a special time in their evolution. Thanks to Mike, future generations will be able to experience the music as a fan, with Hooteroll? faithfully recreating the vibe my father instilled in those songs. "Jerry Garcia wrote great songs and had a great ear for other people's songs. Hooteroll? follows that wide, deep path through a wonderland of musical styles with a style and grace of their own." 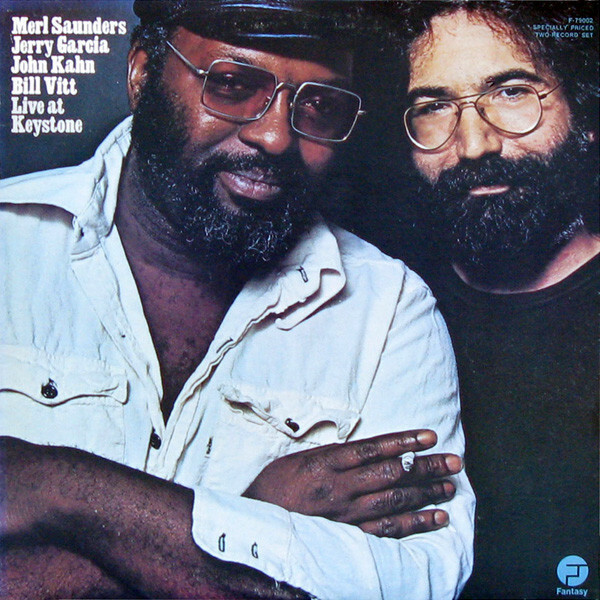 "Merl Saunders and Jerome, as Merl called him, started playing together in small clubs in San Francisco and were accompanied by some of the best sidemen available and they were always on the lookout for new talent to work and play with. Mike Lawson befriended Merl and had a long and productive musical friendship - Merl and Jerry both would be very pleased to hear that their arrangements and music continue in the band called Hooteroll? with Mike Lawson at the head - he too finds the best to play with."